Welcome to Central Oregon Australian Shepherds. We are a younger inspiring small "hobby" kennel located in beautiful Central Oregon where the city was once named "Dog Town U.S.A." by Dog Fancy Magazine. 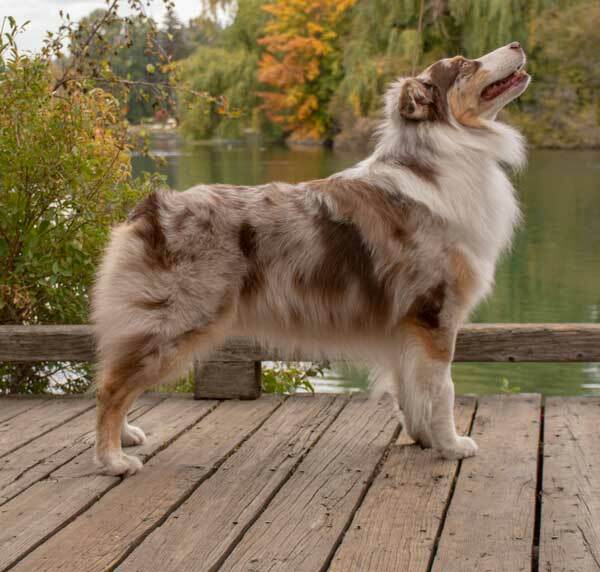 The owners who are the Pierce's are active with their dogs as to prove their overall performance capabilities while also competing their dogs in the Australian Shepherd Club of America (ASCA), United Kennel Club (UKC) and International All Breed Canine Association (IABCA) clubs in the conformation arenas as well. They also plan to compete in Rally and Agility too. Being a dog fancier like the Pierce's takes dedication, time and money as it is not for everyone. The Pierce's are focused on brains, beauty and genetically sound dogs. All of their dogs are OFA'd both "Hips & Elbows" Good or Better and never Fair (if fair, we won't breed them), MDR1 (sensitivity towards certain medications) tested along with the Australin Shepherds complete genetic panels through Paw Print Genetics as well as annual eye clearances through the Companion Animal Eye Registery (CAER's) documented within the Orthopedic Foundation of Animals (OFA) clinical database. The kennel also microchips every puppy registered with Home Again at their cost for their buyers as they would want their pack to be able to find their way back home should they ever get lost and of course puppies will always be up to date on their shots and wormed as well before going to their forever homes. The Pierce's love this lifestyle in which they have chosen because it keeps them active as well while also having fun with their dogs all at the same time. 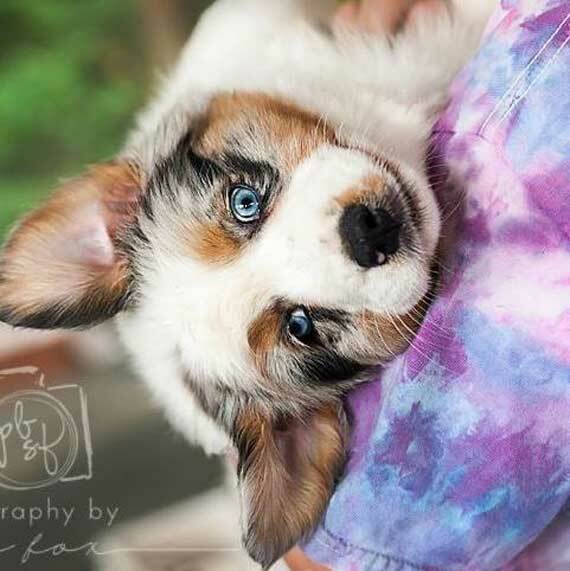 Central Oregon Australian Shepherds is an active member with the Australian Shepherd Club of America (ASCA) and is also recognized as being an active kennel listed within their registry. 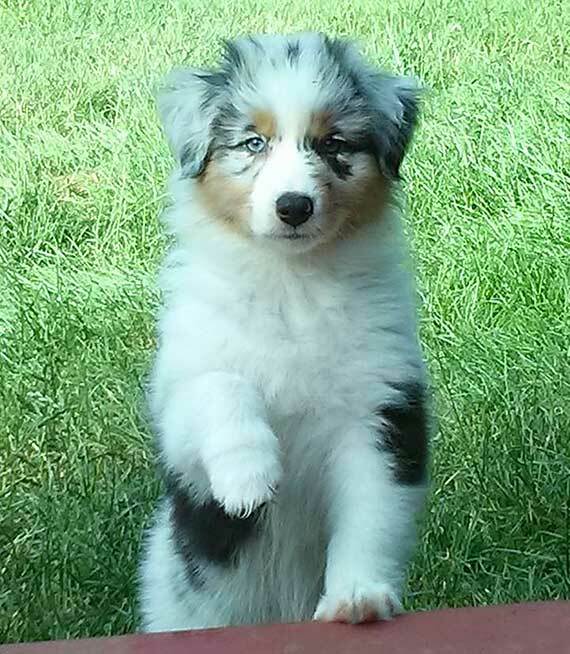 Central Oregon Australian Shepherds also focuses on temperament, soundness & versatility as well. They are always striving to meet breeding standards excellence and will always be here to support any of their buyers who purchase from their kennel for the dogs lifetime. It is advisable to contact them to be placed on their waiting list for any upcoming litters as it can be competitive with buyers in obtaining or finding the dog they wish to have. Central Oregon Australian Shepherds always likes to be helpful to others in any way they can and always has an open and welcoming attitude towards others who wish to learn, especially those who are new to the breed. One can always count on them to provide you an overall positive and exceptional puppy buying experience. 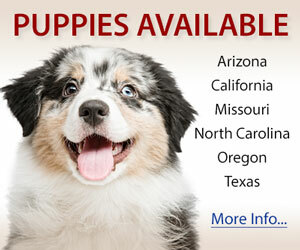 Call Central Oregon Australian Shepherds today! ASCA Hall of Fame Kennel #145, AKC Registered, We are Positive Reinforcement Dog Trainers and Competitors. Our dogs are both versatile and loving Family companions. Our dogs compete in Obedience, Rally, Herding and Confirmation and Agility. OFA, MDR1, CERF tested. Holistic and Naturally reared puppies. We breed 1-2 a year please contact us as we maintain a waiting list. Breeding and showing Australian Shepherds since the early 80's. Raising Aussies with sound minds and structure. We guarantee all of our puppies health. Microchipped, shots and wormed. AKC/ASCA Reg. We are a young aspiring breeding program that strives to always improve the breed. We are located in Brownsville, Oregon. We breed to ASCA, AKC and UKC standard and produce dogs that are capable in all venues, obedience, agility, working, conformation, and dogs that are great family pets. 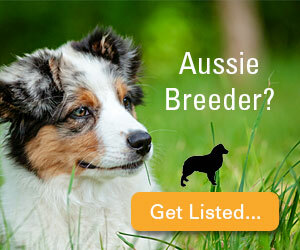 If you are looking for a lovely pet/dog for your family, Aussies are an excellent choice. What is most important to us is health and temperament. We raise our puppies in our home using Puppy Culture. Our puppies we provide a 3 year health guarantee and have an open door policy for you to call us for any advice or guidance you may need with your puppy. We still have a couple of spots left on our waiting list for our upcoming breeding. Please message us for more information. Here at Rockhill Aussies we are a young aspiring breeding program that strives to always improve the breed. We are located in Lebanon, Oregon and live on 5 acres built for our dogs. We breed to ASCA and AKC standard and produce dogs that are capable in all venues, obedience, agility, working, conformation, and dogs that are great family pets. If you are looking for a lovely pet/dog for your family, Aussies are an excellent choice. What is most important to us is health and temperament. 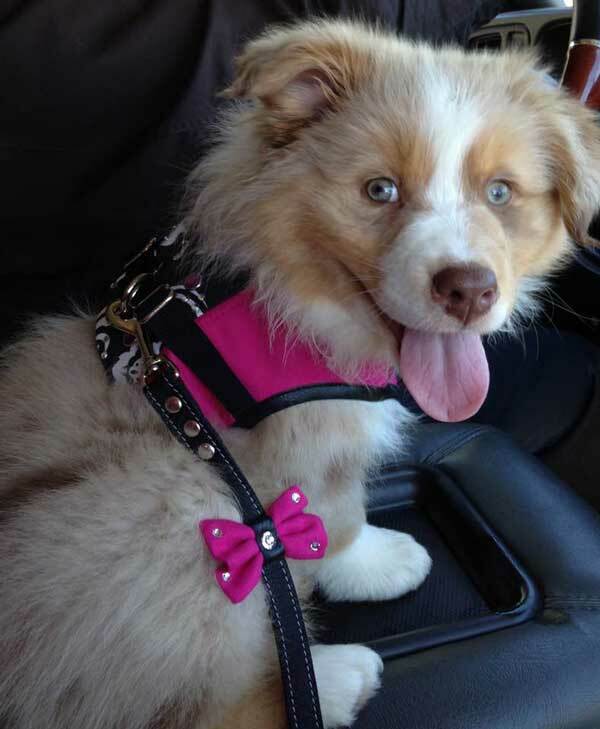 Our Australian Shepherd puppies' are bomb proof and can thrive in any healthy home. Our puppies we provide a 3 year health guarantee and have an open door policy for you to call us for any advice or guidance you may need with your puppy. All our dogs are OFA'd, DNA'd and MDR1 tested, and eyes are all certified. Since 1978. Dedicated to preserving and promoting this intelligent and beautiful breed by breeding only championship quality dogs with something to offer the breed as a whole. Outstanding breed characteristics and health is never sacrificed. We actively compete in both breed rings at shows sanctioned by ASCA & AKC. To learn if the aussie is right for you, please call or write as we offer 30 years worth of free information! 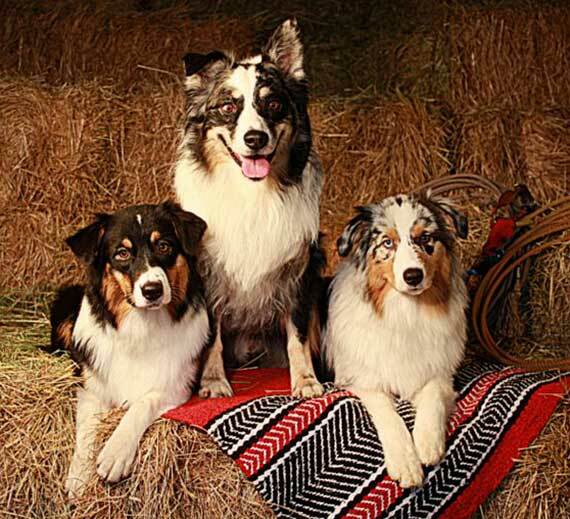 Quality ASCA/AKC Australian Shepherds since 1978 located in Central Oregon. Occasional pups available bred for conformation, versatility, temperament and longevity. All puppies are raised in home under foot, so they have plenty of socialization, and are started on house breaking and crate training. Parents have CERF and OFA clearances and pups come with written quarantees on hips, health and temperament. We breed to standard. Please visit our website! We are a small kennel and specialize in HOF Mistretta bloodlines. We have one to two litters a year. Our breeding program is to breed Pretty pups that Work or become that special family friend.